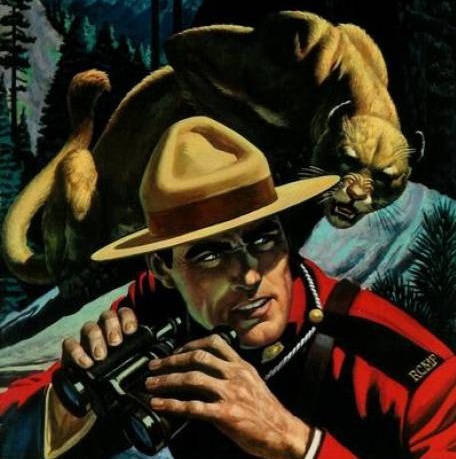 The Canadian military’s counter-intelligence unit has been conducting surveillance of a Mohawk community straddling the Canada-U.S, according to “confidential” reports released to APTN National News. 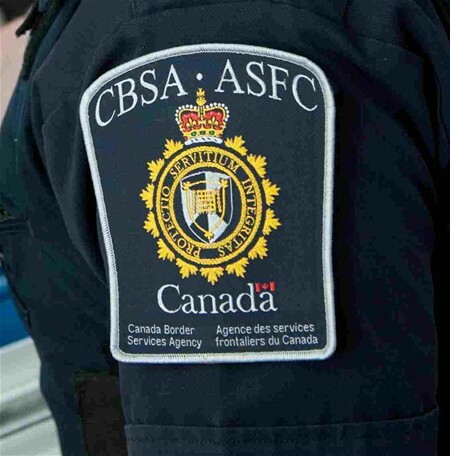 Federal border officers’ duty to safeguard Canada trumps the right of Mohawks to freely travel their Akwesasne territory that straddles Ontario, Quebec and New York state, a judge has ruled. Two Akwesasne women had tried to assert an “aboriginal right to mobility to travel freely” within the territory for family or community purposes, and claimed that having to check in at the Cornwall, Ont., port of entry violated their Charter rights. 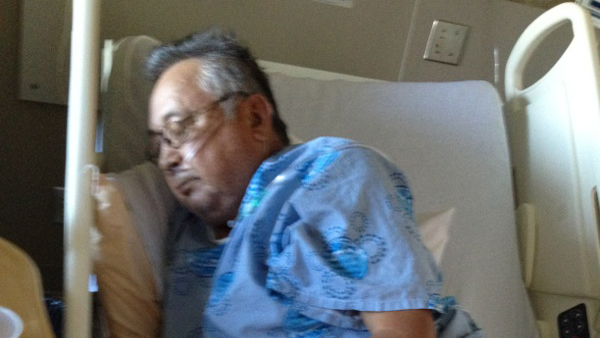 Antoine Delormier, 67, in his hospital bed in Cornwall Thursday. Photo courtesy of family via APTN. A 67 year-old Akwesasne man who recently survived a heart-attack says he was brutalized by Canadian border agents Tuesday who forced him into secondary inspection because one of them caught a whiff of tobacco in his truck. Antoine Delormier was on his way to the hospital when he was stopped at the border and manhandled by border guards after he refused to leave his truck. 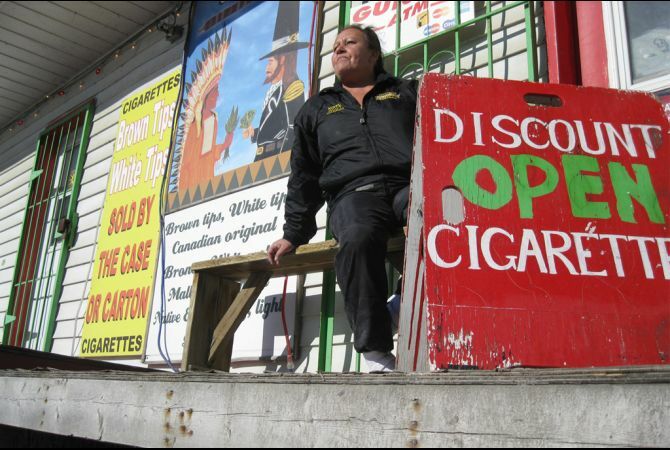 Tobacco store in Kahnawake, Mohawk Territory. 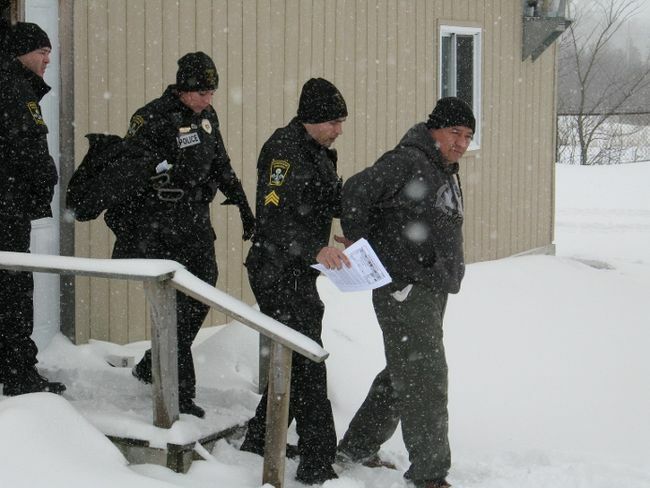 Stacey Boots arrested by Akwesasne Mohawk Police, March 22, 2014. CORNWALL ISLAND – Akwesasne Mohawk Police defused a potential showdown just before noon on Saturday, arresting activist Stacey Boots. Protesters on the Seaway International Bridge at Akwesasne, Mohawk territory, Nov 9, 2013. 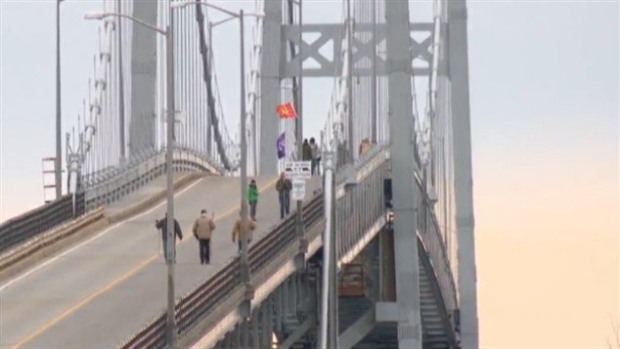 OTTAWA — The Seaway International Bridge between Cornwall and the U.S. was closed for about an hour Saturday as First Nations protesters stage an “information march” in opposition to hydraulic fracking gas extraction processes.